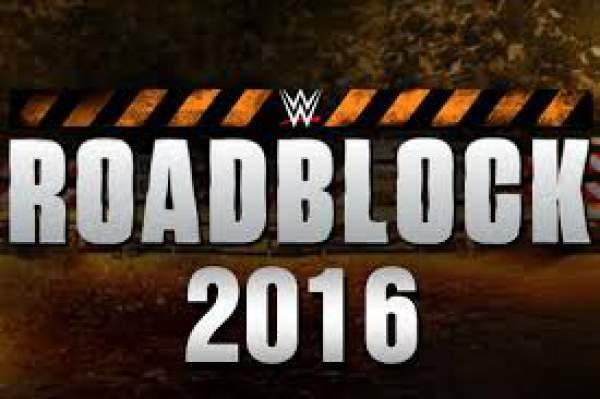 WWE Roadblock 2016 Results: The next Pay Per View (PPV) event of World Wrestling Entertainment is on its way. Tt will take place tonight in Toronto. The game makes a one-way road to the most watched WWE PPV event, i.e., Wrestlemania. It will be its 32nd season. The Saturday night event will showcase the three-hour WWE Network special event will witness some title matches along with the world heavyweight championship as per the schedule. It all will be in the main event. The fight will take place in The Ricoh Coliseum. If you haven’t purchased the tickets yet, consider buying to watch the upcoming matches. The New Day defeated the League of Nations. Chris Jericho defeated Jack Swagger. The Revival defeated Enzo and Cass (with Carmella). Triple H defeated Dean Ambrose. Brock Lesnar defeated Luke Harper. At Wrestlemania 32, there is a game for the WWE World Heavyweight fight between Triple H and Roman Reigns scheduled on cards. But before that could take place, Roman will need to fight against Dean Ambrose. Ambrose had gone through several title opportunities but lost to Reigns and Seth Rolins every time in the last year. As usual, there are rumors of the particular event too as it happens all the times. Sometimes rumors turn out to be actual news while sometimes not. It has been rumored that Brock Lesnar would come out to take a fight for the title, but will get involved in a fight against Ambrose at Wrestlemania 2016. Today’s 3-hour long WWE session will see more than four matches. However, only 2 or 3 fights would be worth watching. 2016 Roadblock has been advertised on the official web portal, and it showcases two more big fights. The New Day will challenge the League of Nations to defend their tag team title. On the other hand, the NXT tag team champions, The Revival will engage in a wrestling game with Enzo Amore and Colin Cassady. It is expected that the title will not get changed as it will highly affect the match cards of Wrestlemania 32. Moreover, Triple H will enter the ring to defend his title for the first time since he won it in the Royal Rumble 2015. Tonight’s event will start at 8 pm ET and can be live streamed only on WWE Network. However, the new users can watch it for free of cost as the officials are providing free first month for the new subscribers. But, it will cost $9.99 per month for regular users.